The wig was just what I needed to complete my witch costume! It is inexpensive but it doesn't LOOK cheap. Even when pictures were taken of me it didn't have that cheap glossy glare that happens when you buy cheap wigs. 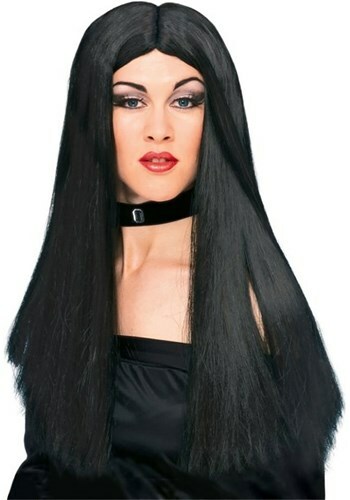 All in all great quality for a wig this inexpensive! This wig is horrible and because it is a wig it is FINAL SALE. The hair distribution on the wig looks like the picture only because you can't see the back. There is not enough hair to cover the back of the wig cap even if you try to pin back the hair that is distributed to the front. Might work on a child's head. In addition it got tangles within seconds of coming out of the package, it sheds horribly and is already fraying at the part. I wasn't expecting too much from a nine dollar wig but unlike the other reviewers my experience was that this product is completely unusable.